Cerrah Mehmet Pasha, who served as the palace surgeon during the sultanates of Sultan Murad III and Sultan Mehmet III had Cerrah Mehmet Pasa Mosque built in 1593 in the vicinity that is also named after him, Cerrah Mehmet Pasa. Cerrah Mehmet Pasha was a physician who also served as a Grand Vizier for about 9 mounts during the sultanate of Mehmet III. He had this mosque built to Mimar Sinan’s student Davut Aga. Being the cheif architect of the state. 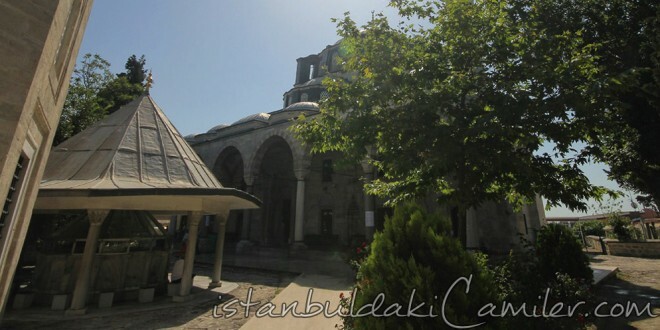 Davut Aga built Cerrah Mehmet Pasa Mosque as a copy of Mimar Sinan’s masterpiece Selimiye Mosque. Cerrah Mehmet Pasha is buried in the domed tomb next to the mosque. Being an exemplar of Classic Ottoman architecture, this mosque is also built as a kulliye like many others. Kulliye of Cerrah Mehmet Pasa, which is composed of a mosque, a madrasah, a tomb, a Turkish bath, puplic and ablution fountains, is split into two due to Aksaray-Kocamustafapasa Road. The mosque has undergone many repairs and renovations because of fires and earthquakes.